Caton Manor is a large 123-bed nursing home in Baltimore owned by Genesis, which owns 500 senior living facilities around the country. 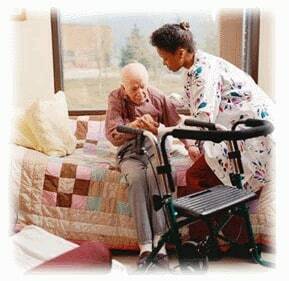 Canton Manor provides skilled nursing care 24 hours per day to elderly and infirm patients. It is poor nursing home by any objective standard. This is the kind of facility that keeps nursing home lawyers in business. If the best thing you can say about your nursing home is that it sits across the street from a hospital, what is the message - that at least you can get help by crossing the street? The Genesis website introduction of Caton Manor in Baltimore opens this way, noting that this facility is "located across the street from St. Agnes Hospital…." Caton Manor's Medicare scores might explain the odd self-introduction. In its last inspection, this facility got an abysmal overall rating of 1 star - much below average. Its most recent score on quality measures was 2 of 5 (below average), its health inspection scored rock-bottom 1-of-5, and it has had some health complaints that almost defy the imagination. The website introduction provided by Caton Manor Genesis claims that "We also offer a safe and happy home with 24-hour care to our residents that can no longer live on their own." But the numbers - and the complaint report - say otherwise. The most recent standard health inspection, in April 2016, cited Caton Manor for 22 deficiencies - a disastrous score twice as high as the national average (11) and three times as high as the Maryland state average (7.1). Caton Manor had deficiencies in all eight measured categories. That standard inspection in April also served as a complaint inspection - which found some things that weren't so "safe and happy." Item: the facility failed to give meds, and change a wound dressing, as ordered. Item: a resident was injured because the nursing home failed to transfer this person appropriately. Item: for over five days the facility failed to fix a broken bathroom light. And it gets worse. Item: "the facility failed to accurately assess and provide a resident with services as deemed needed" - and in this case, the resident needed help urinating, but "sat for two days without getting catheterized." When the catheter finally went in, it withdrew "1200 ml of urine," which means that this resident's bladder was holding well over a quart of fluid before relief finally arrived. "I am feeling much better," the resident said afterward -- no wonder. Then there was the case of Caton Manor's failure "to thoroughly investigate an allegation of abuse." The allegation: that a staffer acted invasively toward a resident, and "wanted to get with the resident, and wanted to make the resident his baby mama." This place is a lawsuit waiting to happen. Don't take our word for it. Read the inspection report yourself. On the same day as that last standard/complaint inspection, Caton Manor was fined $17,225 by the U.S. It is uncommon for a nursing home to receive a federal fine, but this one did. The quality of care obviously relates to the quality of the caregivers, and staffing was a relatively bright point for this facility (receiving a 3-of-5 rating in this general category). Most of these large nursing homes strive for average when it comes to staffing. Our elder abuse and neglect attorneys have always argued that "average" is not good enough. In terms of resident population, Caton Manor was higher than average, with 123 residents at the last official count (versus 107.5, on average, statewide; 86.2 average, U.S.) Even so, Caton Manor was right on par with state and national averages for total nurse time per resident per day and was better than average for time spent by LPNs and LVNs (licensed practical nurses, licensed vocational nurses). It was lower than average on time spent by registered nurses, certified nursing assistants, and physical therapists. And as for quality measures, this facility's rating was a below-average 2 of 5 stars. For short-stay residents, Caton Manor was better than average on keeping former residents out of the ER, and on preventing the incidence of pressure ulcers. This is usually a decent sign if the nursing home stays on top of bed sores. This facility was a bit below average on resident rehospitalization rates, successful discharges into the community, and on residents' self-reports of pain. Caton Manor was more than twice as likely as average to administer antipsychotic meds. On administering flu and pneumonia vaccines, however, it was only about half as likely to take these preventive measures, compared with the state and national norms. On quality measures as applied to long-stay residents, Caton Manor scored mostly well. It was distinctly better than average on preventing urinary tract infections (having an infection rate of 1 percent, versus 4.5 percent statewide and 4.8 percent nationally). It scores significantly better than average on maintaining residents' continence (its incontinence rate 33.1 percent, versus 58 percent statewide and 46.6 percent for the U.S.) It excelled in not using physical restraints (versus average Maryland usage of 0.6 percent, national usage, 0.8 percent). And it was markedly better on weight loss: Caton Manor long-stay residents were less than half as likely as the state and U.S. averages to lose serious amounts of weight. Caton Manor was a bit better than average on preventing long-stay residents' falls with injury and on their reports of pain. This facility was somewhat below average on maintaining residents' mobility and their ability to conduct their daily activities independently without help. Caton Manor long-stay residents were more likely to have symptoms of depression than the state and national averages - but Caton Manor was less likely than average to administer antipsychotic drugs, and much less likely - by half - to give out antianxiety meds. That's all good - as long as those residents really didn't need those meds. Do you have a possible nursing home lawsuit against this Baltimore nursing home or any other elder care facility? Call our elder neglect and abuse lawyers at Miller & Zois today at 800-553-8082 or get a free no obligation case review. We can help you find the justice and compensation you deserve. Some pretty harsh reviews of this facility. You have to take these reviews with a grain of salt. But even compared to other Baltimore nursing homes, these reviews are strong. Learn how to maximize the value of your claim and find out the trial or settlement value of your assisted living or elder abuse and neglect lawsuit? Call our elder abuse and neglect lawyers today at 1.800.553.8082 or get a free online case review if you believe you may have a potential nursing home lawsuit in Maryland. There is no a cost or fee or any kind unless we get money for you for the harm that has been done.